Consistently making stocks and sauces of the highest quality with the amount of time and skills required can be very challenging, especially when a chef has many other tasks to simultaneously manage. A previous perception of readymade stocks and sauces is that they’re pale in comparison to the homemade product. An increasing range of high quality manufacturers and premium brands since, have made it clear that chefs are perfectly happy in using an externally sourced solution. Readymade sauces also offer great versatility. Broadening consumer tastes have widened cravings for culturally diverse flavours and styles, some that even experienced chefs may not be trained in. 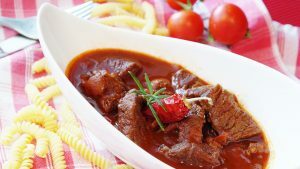 Professionally made recipe sauces allow caterers to create dishes with global tastes quickly and impressively. Utilising readymade stocks and sauces also minimise wastage. 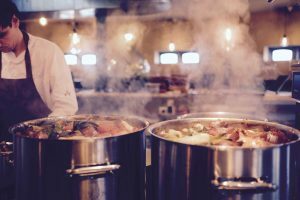 Often with a long shelf life, caterers don’t have to calculate how many dishes will be ordered in order to be sure they’re making the right amount of stock or sauce. This gives caterers much more control over their meal preparations. Although chefs may enjoy making their own stocks and sauces, keeping a range of ready-to-use options on hand is a great way to ensure versatility and timesaving during busy periods, as well as easing pressure when tackling conditions such as a new, broader menu. Be sure to at least keep a few sauce and stock staples handy for those must-have dishes on your menu. 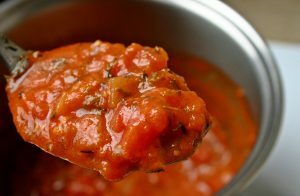 For example, tomato and basil-based sauces are ideal for any pasta or pizza dish, along with giving meat a richer, slightly sweeter taste. Black bean sauce is fantastic for noodle and rice dishes along with mixed varieties of meat and vegetables. 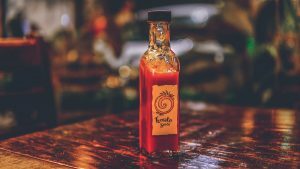 Curry sauces such as Balti or tikka masala are not only great for completing the bulk of curry and rice dishes, but also being effective marinades for other meat-based starters and mains. Readymade stocks are available in a wide range of flavours, either already prepared or in the form of stock cubes. Whether you’re preparing broth for a soup or stew, these can save you hours of prep time. For the UK’s best range of effective; top quality packaging, utensils, cookware and all manner of catering equipment products, be sure to visit Alliance’s online store at www.Allianceonline.co.uk. Featuring selections consisting of effective, recycled, renewable and versatile materials, we continue to offer products that meet all industry and consumer needs.